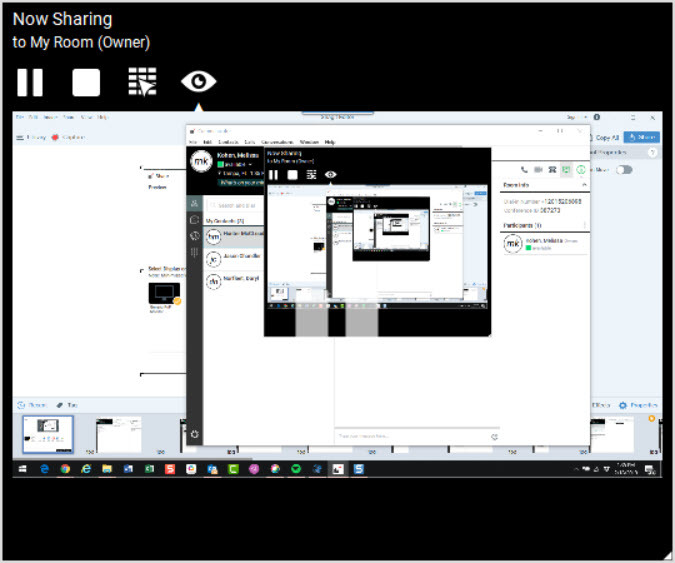 You can perform Desktop sharing with another user or users while in a Chat on your desktop application. Click on the Desktop Share Button. Select the application you would like to share and click on Start Sharing. 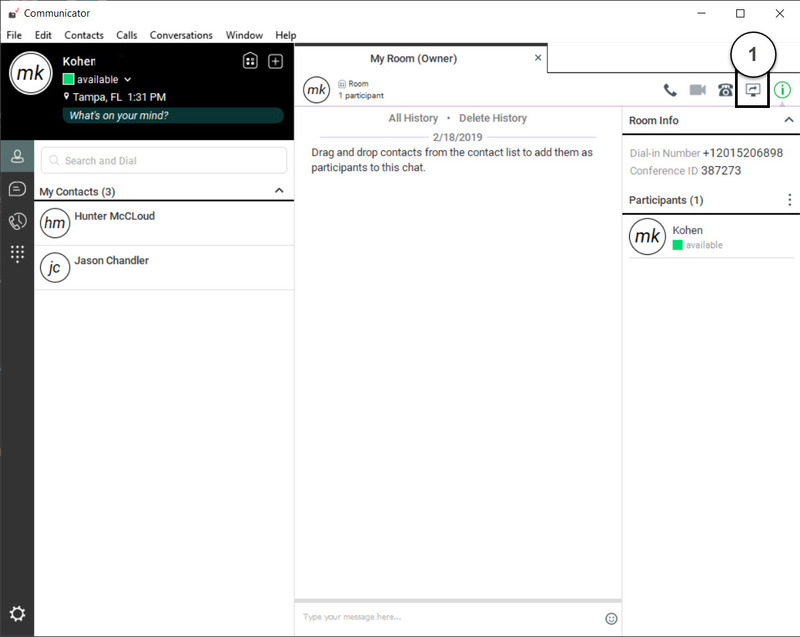 Once the Contact accepts the Desktop Share notification, they will be able to see the shared screen. 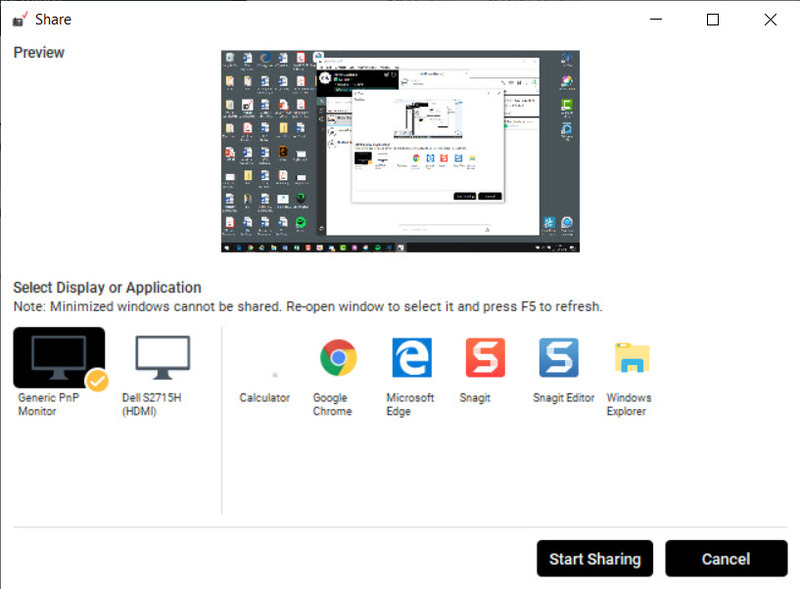 Once you are sharing, you can choose to Pause, Stop or Select another application to share or preview.